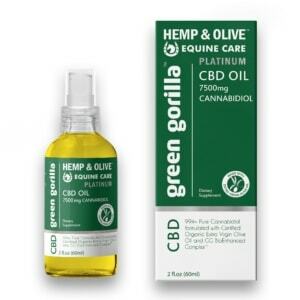 CBD Oil For Horses with 7500 mg of Cannabidiol (CBD), Organic Extra Virgin Olive Oil, Organic Phytocannabinoid Hemp Extract, and GG BioEnhanced Complex™. Join us as we push the boundaries of the CBD industry. Expect to find more CBD facts and benefits, new product releases, or, oh yes, exciting promotions in your inbox every week.